Very nice clay composite poker chips. 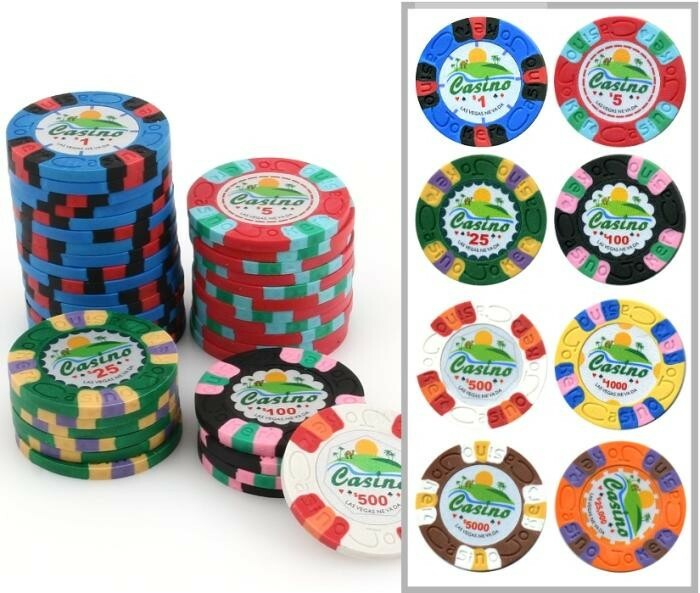 They combine the feel and sound like original Casino Poker chips. 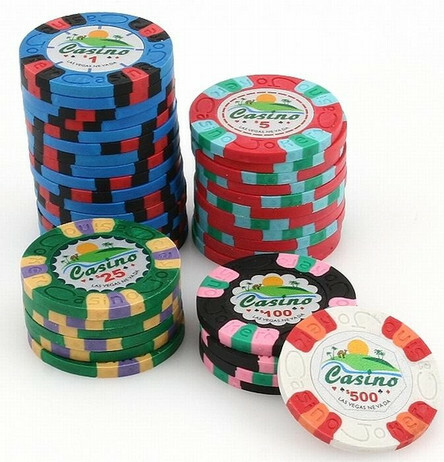 These chips are in the look and feel very close to the original clay chips as played in the great American casinos. The joker casino poker chip weighs about 9.5 grams and has thus an optimal weight. The chips are perfectly balanced, and can be easily stacked very high.